The process of chemical etching and photoetching is one which is increasingly being employed throughout the manufacturing industry. Suitable for a wide range of different sectors, chemical etching is a truly versatile, effective solution. In part, this is largely down to the fact that it is an incredibly accurate process of manufacturing metal parts and components for business and commercial use. 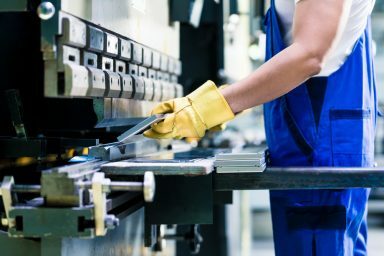 A thorough, considered approach is employed to ensure that each and every end product is high-quality and precise, conforming exactly to the client’s unique requirements. The process of chemical etching is relatively simple, yet it is also extremely effective. This makes it a viable solution for organisations within the manufacturing industry that are looking to increase efficiency and improve the quality of the components they produce. First, the sheet metal to be used will be thoroughly cleaned. It will be bathed in both acid and alkaline solutions in order to remove any impurities which may be present. Next, a photosensitive UV resist will be applied to both sides of the metal sheet, before any excess is removed and the design artwork is then applied to the metal. Both sides will be accurately joined up, on the top and bottom side of the sheet, to ensure a greater level of accuracy and a higher quality finished component. The next step involves the sheet of metal being exposed to beams of UV light. This will harden the metal and leave only the design of the artwork present. After this has been completed, the metal is then ready to be developed, a process completed with the assistance of a series of chemicals. These chemical etchants will erode the parts of the metal which aren’t protected by the UV resist, leaving the finished design. To finish off the process, the chemically-etched components are passed through a specialist stripping chamber in order to remove the remaining photoresist and leave an end result of the etched base metal. What are the Benefits of Chemical Etching? While this process may sound rather technical, the fact remains that it is an incredibly useful and effective method of manufacturing high-quality, precise components perfect for use in a wide variety of industries. Chemically etched components can also feature particularly intricate designs, leaving durable and high-detail parts which are ideal to include in a full range of different products. How is Chemical Etching Becoming Better for the Environment? However, how can chemical etching become more eco-friendly and better for the environment? While the wider manufacturing industry often comes under fire for being quite resource-intensive and having a negative impact on the planet, there are certain ways in which chemical etching can actually be adapted to change this and make it more eco-friendly. Traditionally, certain chemicals have been used within the photo etching process which can be harmful to the environment and can also be quite hazardous to human health. Luckily, a more modern and updated solution has been developed and is beginning to be employed within the industry which works to overcome these issues. Using a solution of ferric chloride to etch the sheet metal is much better for the environment. This ferric chloride solution can be used effectively to produce good results throughout the process of chemical etching metal components. While this may seem like a small change, it is often the smallest things that can end up making the biggest differences when they are all added up. It is important to encourage a greener way of thinking within the manufacturing industry, working to adopt more eco-friendly products and processes wherever possible. Slowly but surely, the process of chemical etching is evolving – a greener future for manufacturing is surely within our reach.